Around this time of year, most people report feeling sluggish, overweight, bloated and achy all over. Many are anxious that the holiday hustle and bustle is going to add even more weight, more stress and more pains. The rule of thumb is that during the holiday season, from October to December, the average female will gain approximately 10 pounds of unwanted weight. There are ways to avoid this. My recommendation is start a detox. 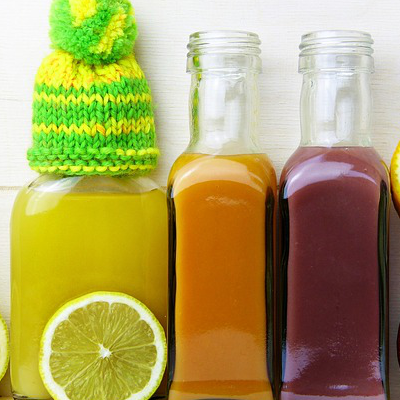 Yes, a detox before the holiday season. A preholiday detox will boost the immune system and help you stay healthy during that hectic holiday season. It will also help you come out of the gate strong in the new year. Studies have found that people that participate in detoxes prior to Thanksgiving, Hanukah and Christmas actually gain less weight and have decreased anxiety. Think of a detox as a mini reset button. The reason why we detox is to rid the body of toxins to prevent a process known as oxidative stress, to help rebalance the toxin/antioxidant relationship. You will see noticeable improvements in your energy, your hormones will be more in balance, you will have better digestion, and your adrenals will have a much-needed break. You will also see a reduction in cravings, which will allow you to say “No” more than “Yes” around sweet treats. Do not wait until January rolls around to make the changes you’ve always wanted—start today. Source: Dr. Elyse Tursi, of One Integrative Wellness—a Pollack Wellness Center (100 Manetto Hill Rd., Ste. 307, Plainview). For more information, call 516-299-9313. Next Article Why Sell Now Instead of Later?